$12 general admission, $30 VIP which includes meet n greet at 6:30. 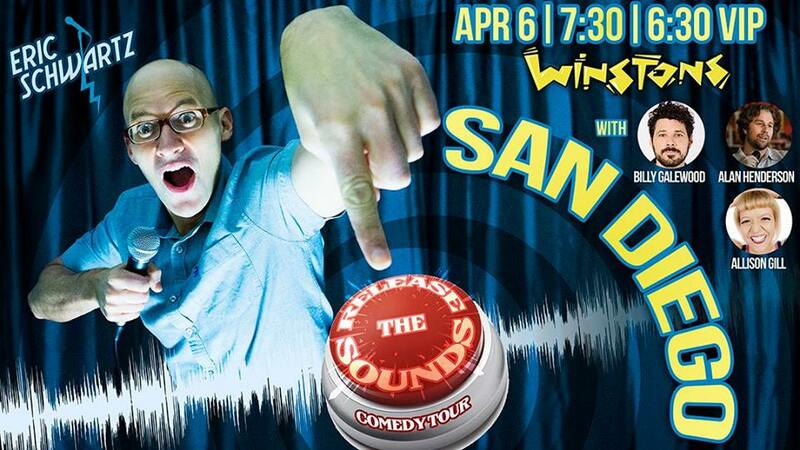 Comedian Eric Schwartz (Showtime, Tonight Show, Hulu, BET) at Winston's Beach Club in Ocean Beach with special guests Allison Gill, Billy Galewoodand Alan Henderson Apr. 6. $30 VIP (includes pre-show meet and greet, priority seating and BINGE DRIVE with over five hours of Eric's video and audio).